When Orson Wells presented his now infamous War of the Worlds radio show in 1938 a lot of listeners panicked, thinking it was the real thing. That Wells was appearing on the popular Mercury Theater radio show at a regular scheduled time at Halloween did not appear to calm listeners. Analysts have since attributed the phenomenon to the times people were living in. The world was on the brink of a second great war in Europe and Asia in 1938 and everybody knew it. It also was a time of amazing new innovation and change. The automobile had just appeared on the scene, radio was a new and exciting addition to home entertainment, the film industry was just introducing sound to the public theater, and inventors Nicolai Tesla and Thomas Edison were producing an amazing array of electronic gadgetry designed to boggle human imagination. So why wouldn’t a sudden invasion by Martians be something people might believe? As a bureau reporter for Michigan newspapers in the following years I had occasion to interview people who claimed to have seen large lighted hoovering ships in the sky. One was a District Judge in South Haven, Michigan. Another was Travis Walton who claimed to have been abducted by aliens and held captive for several days over Arizona in 1975. I was fortunate enough to have interviewed Walton following the release of his book on the subject in 1996. At the time I was working for the White Mountain Independent newspaper in Show Low, located on the edge of the Apache-Sitgrieves National Forest where Walton was working on a logging crew at the time of his abduction. I was quite satisfied that Walton believed the story he was telling. Indeed there was that haunting story of a crashed UFO in Roswell, New Mexico in 1947, and the stories that the U.S. Air Force maintained Project Blue Book recording and researching world UFO sightings for several years. It is only in recent months that this once secret research has been made public. I have had at least three incidents where I observed unexplained objects in the skies and I suspect that I may even have been among the alien abductees. There is a haunting memory that I have been unable to erase of a large orange ball hanging over the barn on our Michigan farm. I was sitting on the roof of the house, taking in the cool night air on a warm summer night when it occurred. But there is no memory of what happened after this. So if alien ships are appearing over our heads, and if aliens are seizing humans for study and then releasing them, why haven’t they dropped down to say howdy? It strikes me that any intelligent being smart enough to build and fly a craft from a home in deep space would be smart enough not to want to meet face-to-face with the primitive war-like beings that we display ourselves to be. While not all of us condone warfare and mass killings, the elected leadership throughout the world appears always on the brink of war, if not engaged in it. And our war machines have become more and more sophisticated and deadly in recent years. 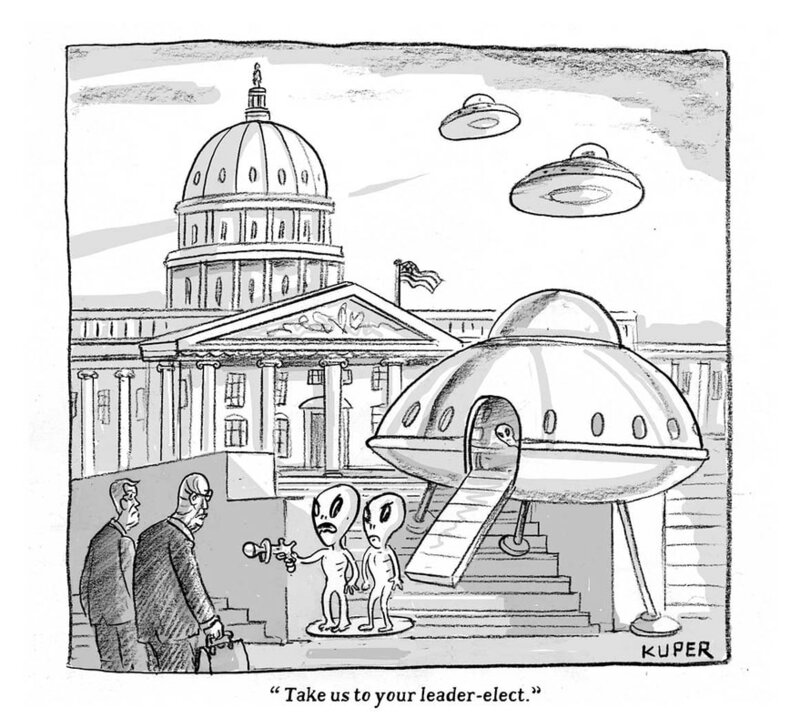 It seems that if I were the pilot of an alien craft hoovering over the Earth and observing the way armies face off against one another, I too would be reluctant to drop my ship down on the White House lawn and expect a warm reception. So what would be the logical thing for a foreign visitor to do if interested in making personal contact? If he or she looked like us the alien would be wide to park that ship in a secluded spot and figure out ways to mingle. Once a base is established at some secluded spot, it would be easy for alien visitors to work their way among us without our knowledge. And who is to say they haven’t been living among us for a good many years? Who is to say those Old Testament stories, Greek mythology and the Book of Gilgamesh aren’t real tales of alien visitors coming among us in very ancient times?